Beyond the result. The 24 March 2019 is a historic date, indelible in the hearts and minds of all female soccer athletes. Yesterday a whole movement enjoyed, together with the 40 thousand of Allianz Stadium, the victory of women's football. Thanks to the foresight of the Juventus football club that opened the doors of the Stadium and allowed, to the stupendous public of female sport, to gather in a large stadium and to unleash, in silence, its liberating outburst of happiness and satisfaction after so many years, too many, of disappointments and false promises . Even in this case, Juventus FC was needed. The first photos arrived from the Stadium, showed the stupendous choreography (bianconera), worthy of the landlords. The sky images confirmed it immediately afterwards. With my eyes, I searched in vain for the purple curve but hopes soon faded, as the cameras showed all the sectors of the Stadium. For each chair a Juventus flag. Superb! 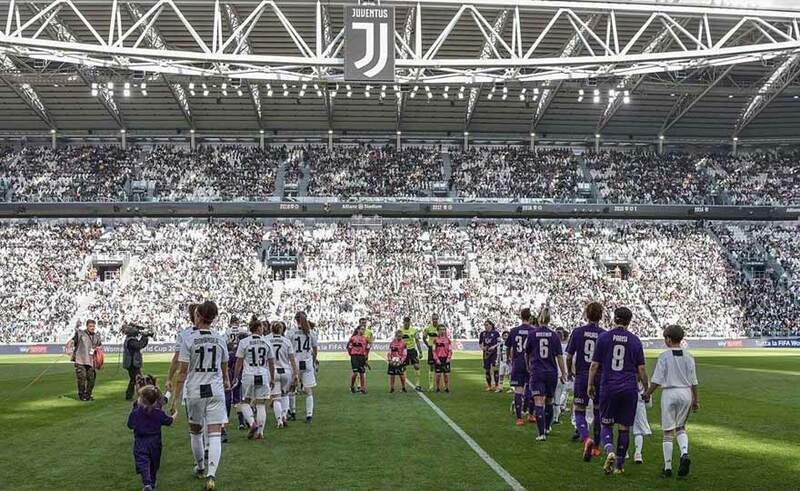 It looked like the party of Juventus and not of women's football, not of a game with a championship value to be played between two powers of our football: Juventus and Fiorentina. Yeah, by the way ... about Fiorentina and my expectations that were disappointed. I was hoping for a Bianconero / viola stadium and instead .. 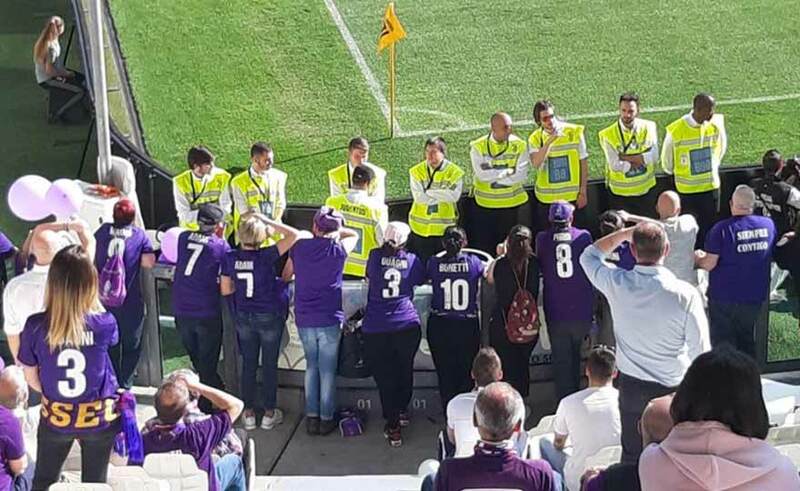 I knew of the presence of the "Passione Fiorentina Women's" supporters who arrived in Turin with two well-organized buses, but among the 40.000 I could not identify them. To remind them we thought the stadium speaker with a ridiculous announcement: "we invite visiting fans to stay in their sector ...", as if they had forgotten, from the number of those present, that it was a women's soccer competition, where entire families (parents, children) do not go to the stadium to sing discriminatory choirs. I reply to the speaker: "For the first time in its history, the Stadium did not feel offensive." Take note of the advancing new world to improve your world where everything is allowed. Beyond the result: finally a beautiful party worthy of all the performers and a whole movement. But in all this, where was the ACF Fiorentina? Is it possible that the professional purple company failed to organize a "trip" to the Stadium? a trip with at least a thousand Florentines ...? or that I have not thought, together with the FIGC (utopia? ), of sending, purpose set design, at least 10.000 violet flags (perhaps with the name of my fellow countryman) to mix with the bianconere? The girls of Cincotta, with Guagni in the front row, left alone, in the middle of 40.000 bianconeri with their beautiful flags that incited their team, did their best, fought on equal terms and sold the three points only for an indecision of the rearguard at the end of a hard-fought and balanced race. Congratulations to the women of Juventus and Fiorentina who gave us this historical show. in addition to the result: there can be no defeat in the heart and mind of purple warriors, there can be no defeat in the heart and mind of their loyal supporters. In this great day of sport and success, there is only one big defeat: ACF Fiorentina from Della Valle and Mencucci for not having believed, to the end, in their girls and in this great day of celebration all of Juventus.